I found DFPlayer mini MP3 module on China auction site Taobao when I was looking for a MP3 player module for an Arduino projects. This module is quite small and it only require few pins connections to Arduino and a speaker to work. Looks really nice for my little project. 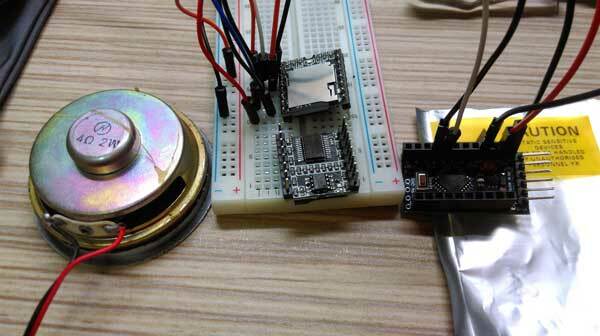 Actually, the module is quite capable and complicated, if you were interested, please visit A Mini MP3 Player For Arduino. 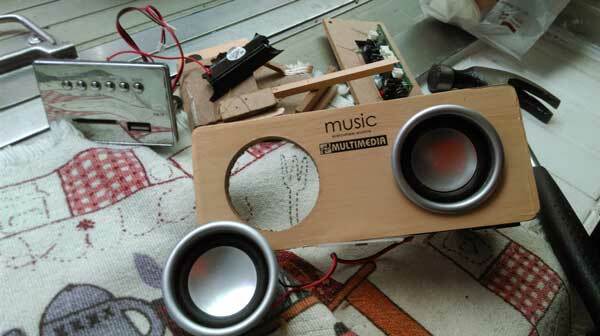 First, I recycled a 2W, 4Omh small speaker from this little music box. *Important note for audio files. Careful read notes below will save you a lot of precious time! 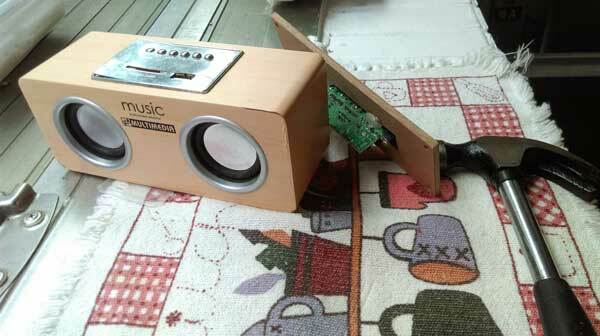 DFPlayer Mini read both MP3 and WAV files. All audio files must be placed under /mp3 folder. If one of the audio file is removed from SD cared, DFPlayer still can find it and play it! Weird! In the end, I formatted the SD card to make DFPlayer to play the music I specified. Delay(seconds); You have to specify number of seconds delay for the audio file to play completely or the next audio file might be started before current audio is over! The code below is from the vendor's website and it worked without much modification.